The Data to Care (D2C) strategy uses HIV surveillance data to identify persons living with HIV (PLWH) who are poorly engaged in care and offers assistance with care re-engagement. We evaluated HIV care re-engagement among PLWH in Seattle & King County, Washington after participation in a D2C program and determined whether variables available at the time of the D2C interview predicted subsequent re-engagement in care. We defined successful re-engagement as surveillance evidence of either continuous care engagement (≥ 2 CD4 counts or HIV RNA results ≥ 60 days apart) or viral suppression (≥ 1 HIV RNA < 200 copies/mL) in the year following the D2C interview. 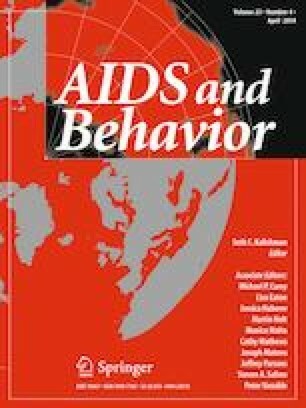 Predictor variables included client characteristics, beliefs about HIV care, and scores on psychosocial assessment scales. Half of participants successfully re-engaged in care. We did not find any significant predictors of re-engagement except viral suppression at the time of the D2C interview. Close follow-up is needed to identify which D2C participants need additional assistance re-engaging in care. This work was supported by a University of Washington Medical Student Research Training Program to EJC, a grant to JCD from the National Institute of Mental Health (Grant No. 5K23MH090923); the University of Washington Center for AIDS Research (CFAR), an NIH funded program under award number P30AI027757 which is supported by the following NIH Institutes and Centers (NIAID, NCI, NIMH, NIDA, NICHD, NHLBI, NIA, NIGMS, NIDDK); and programmatic funding from the Health Resources & Services Administration to Public Health – Seattle & King County and from the Centers for Disease Control and Prevention to the Washington State Department of Health. JCD has conducted research unrelated to this work supported by grants to the UW from the following companies: Hologic, Curatek Pharmaceuticals, ELITech and the Quidel Corporation. All other authors report no conflicts of interest. Centers for Disease Control and Prevention. Understanding the HIV Care Continuum [Internet]. 2018. https://www.cdc.gov/hiv/pdf/library/factsheets/cdc-hiv-care-continuum.pdf. Accessed 9 Feb 2019. Data to care: improving health and prevention [Internet]. 2015. https://effectiveinterventions.cdc.gov/en/HighImpactPrevention/PublicHealthStrategies/DatatoCare.aspx. Accessed 9 Dec 2016. Public Health – Seattle & King County and Washington State Department of Health. Washington State/Seattle & King County HIV/AIDS Epidemiology Report, 2016. Published 2017; Volume 5. https://www.kingcounty.gov/depts/health/communicable-diseases/hiv-std/patients/epidemiology/~/media/depts/health/communicable-diseases/documents/hivstd/2016-hiv-aids-epidemiology-annual-report.ashx. Accessed 12 Feb 2019. Centers for Disease Control and Prevention. Behavioral and clinical characteristics of persons receiving medical care for HIV infection—Medical Monitoring Project, United States, 2013 Cycle (June 2013–May 2014). HIV Surveillance Special Report 16. https://www.cdc.gov/hiv/pdf/library/reports/surveillance/cdc-hiv-surveillance-special-report-number-20.pdf. Accessed 12 Feb 2019. Center for Medicaid and CHIP Services: Children and Adults Health Program Group. 2013 POVERTY GUIDELINES. https://www.medicaid.gov. 2013.